The H2O Swingmaster features a heavy duty spring mounted sign to hold A1 posters. 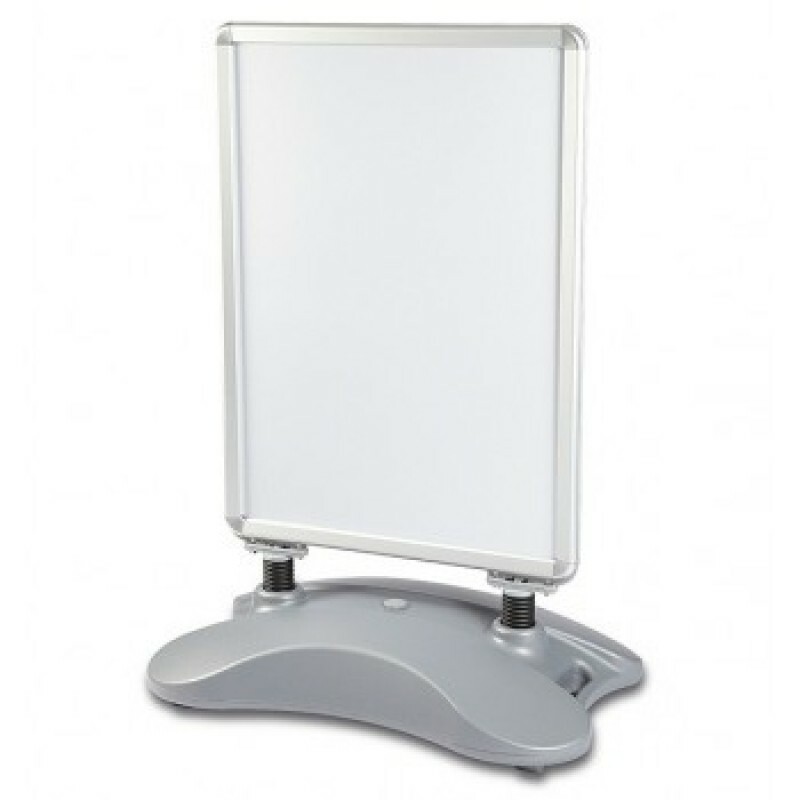 It has snap action, front opening aluminium frames for quick and easy change of posters and is double sided. The moulded plastic base has a 30 litre capacity and wheels to aid manoeuvrability. Product Features Designed for outdoor use Tools required for assembly are supplied Spring action base 30 litre moulded base can be filled with water or sand for extra stability Graphic panel size: 841mm x 594mm Wheels to aid manoeuvrability Chrome rounded corners.